If you love chocolate and you love matcha then you’re in for a treat if you’re in Osaka this spring. 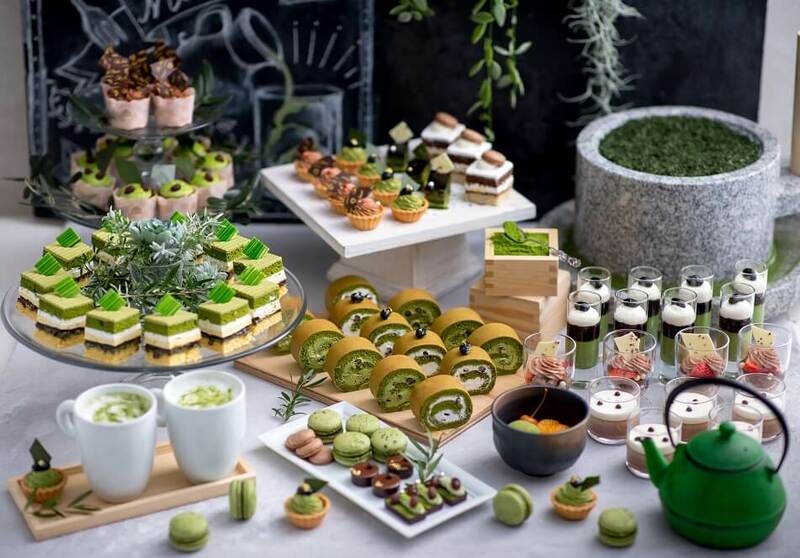 From May 11 to June 30 Hotel New Otani Osaka is serving up a matcha and chocolate dessert and sandwich buffet at its tea and cocktail lounge Satsuki. A delicious line-up of treats will be on offer including Patisserie Satsuki’s luxurious “Super Chocolate Shortcake” which normally goes for over ¥1,250 a slice. 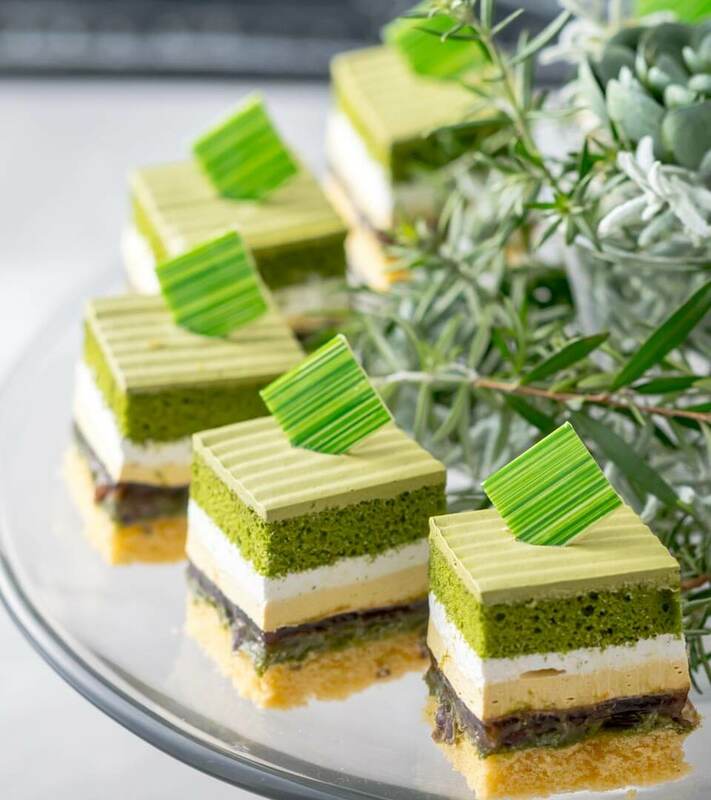 The theme is “Matcha & Chocolate.” Sumptuous sweets and sandwiches will combine both of these harmonious ingredients, such as the ever-popular “Matcha Opera” pictured above made using matcha from Uji and the “Uji Matcha Roll” which contains large-grained adzuki beans. 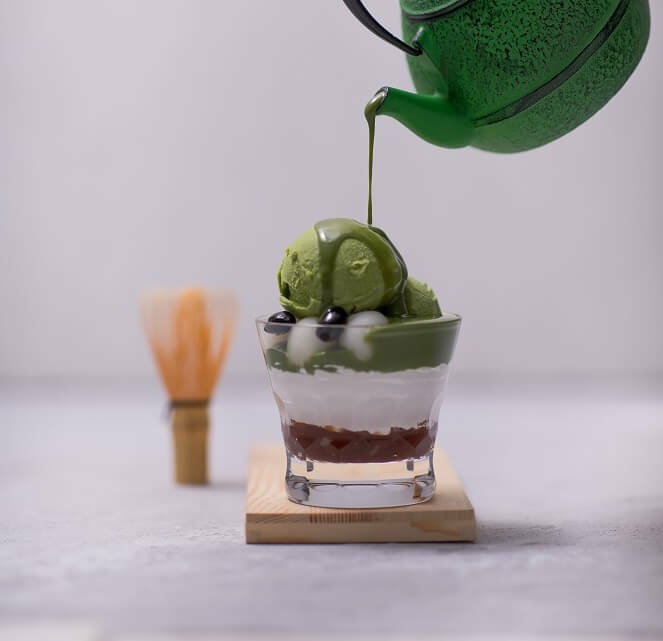 There’s even an all-you-can-sprinkle matcha service which allows you to sprinkle on much of various styles of matcha tea powder over your dessert as you like. This include sweet “tencha” which is a high-quality grade tea used in Uji and “hikitate matcha,” freshly-ground matcha tea ground up in a stone mill. All of these will go perfectly with any of the dessert or food choices you decide to go with. You’ll definitely want to try the “Atataka Noukou Matcha Sauce,” a rich and warm matcha sauce made using only the highest quality leaves that fills your mouth with the most luscious matcha fragrance the moment it hits your tongue. They will also serve up foam which is as light as air meaning not only do you get to enjoy flavours but texture too. And by getting to add your own quantity of matcha you get to e njoy matcha in a whole new way. 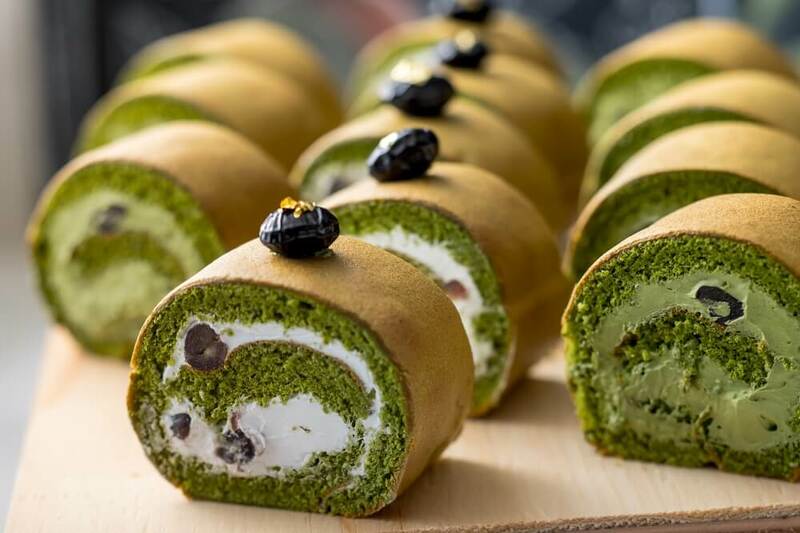 Sandwiches are served inside matcha bread handmade by the hotel’s executive chef. Fill them from over 20 ingredients including tuna salad, fruits and more. Head to Hotel New Otani Osaka for an irresistible matcha experience. *Pre-tax prices. Service charge included.